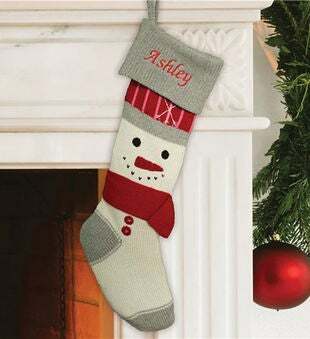 This Embroidered Knit Snowman Stocking is a great mantle accessory to your Holiday decor this year. These charming Personalized Christmas Stockings will be skillfully embroidered with any name in a red embroidery thread to make a truly stand out piece on your mantle. Create one for everyone in your family!